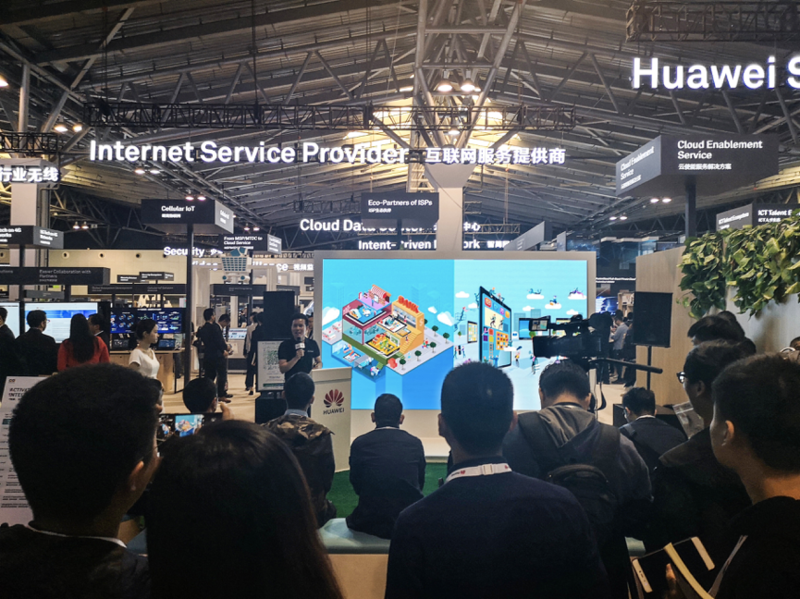 HUAWEI CONNECT 2018 – "Activate Intelligence" was held at the Shanghai World Expo Exhibition and Convention Center from October 10 to 12, 2018, during which the global ICT industry leaders, trailblazers, ecosystem partners, and business think tanks joined to explore the development direction and opportunities of artificial intelligence in various industries. 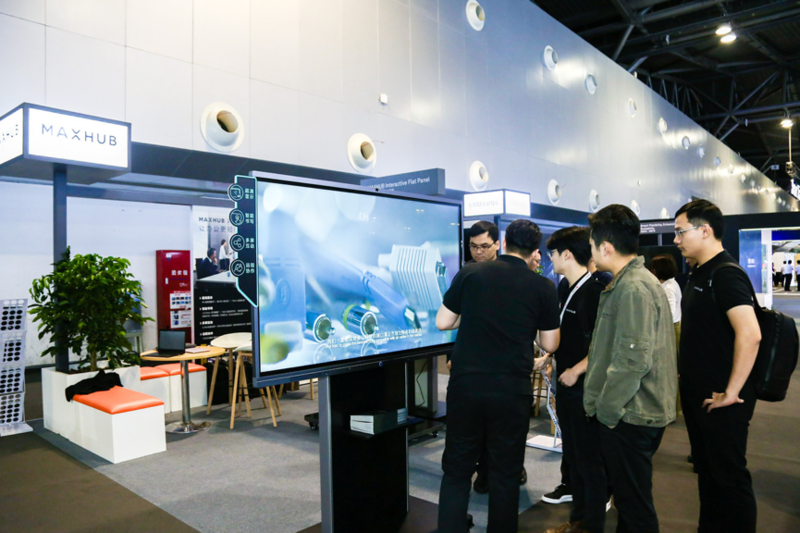 MAXHUB, an efficient conference platform under CVTE, was invited to attend the conference, at which it displayed MAXHUB X3 conference flat panel and solutions for 4 scenarios - local digital meetings, remote video conferencing, MAXHUB smart finance, and smart party building. These products and solutions drew close attention of industry professionals and overseas guests. 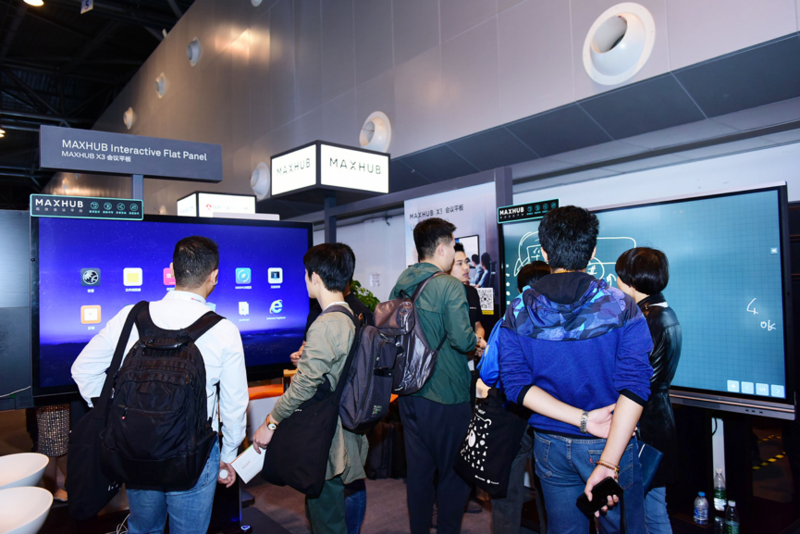 At the exhibition, MAXHUB X3 Conference Flat Panel, an efficient, new-generation MAXHUB office equipment, attracted a lot of visitors. 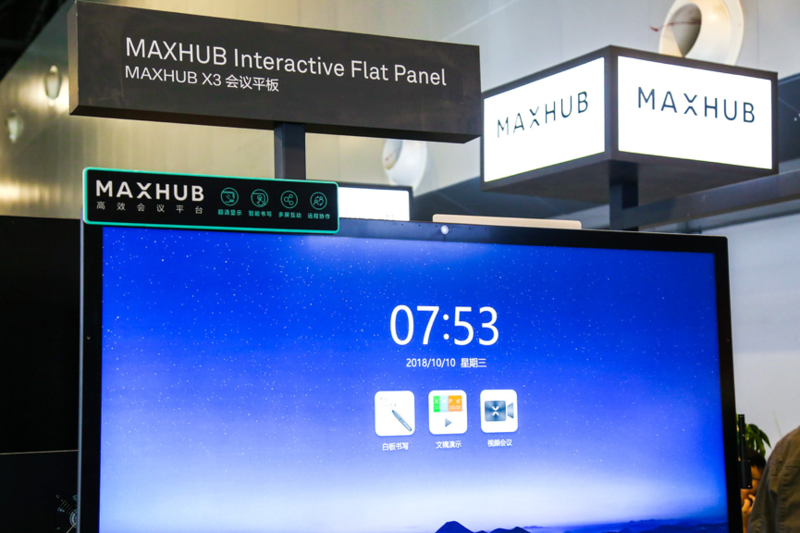 On the basis of the functions and features of the earlier generations, MAXHUB X3 Conference Flat Panel incorporates advanced technologies such as intelligent writing, multi-screen interaction, remote collaboration, and artificial intelligence. In addition, featuring comprehensive functional optimization and upgrade for 3 meeting scenarios - writing, presentation, and collaboration, it creates new, efficient collaborative office work mode, and facilitates overall improvement of modern office work experience. Whether for small and medium-sized meeting room, or for decision-making room for senior executives, the all-in-one, deeply integrated multi-function MAXHUB Conference Flat Panel can facilitate the overall upgrade of the effect and experience of a meeting. First, it features a wireless display that does not need a cable from the device to the display, and enables attendees of a meeting to interact and collaborate via a computer. Second, it generates meeting records quickly which can be flexibly saved and shared in multiple ways. Third, synchronous display of large screen + mobile terminal makes interaction, comment and collaboration easy. In addition, MAXHUB helps participants quickly sort out fragmented information into clear, visual information, and allows them to split the screen into fourths, so as to achieve cross-screen transmission, connection and final convergence of information, drawing on which the best minds may exchange and foster a burst of creativity. On occasions like remote conferencing and interconnected war rooms, long distance communication and collaboration are sometimes impeded by inconvenient presentation, complicated information sharing, and unstable network connection etc. 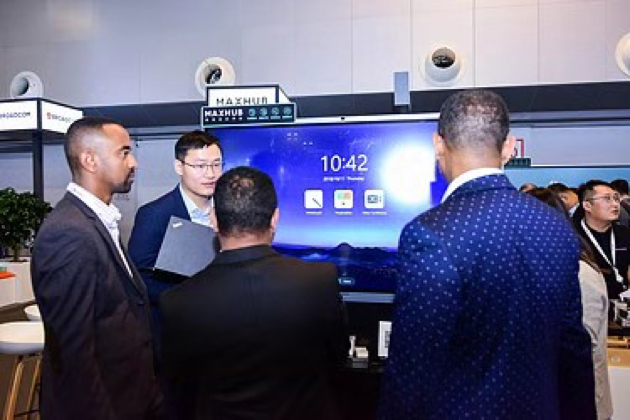 MAXHUB Conference Flat Panel and Huawei's video conferencing solutions can solve these problems by automatically checking the network status and dynamically adjusting the audio and video quality. Featuring strong network adaptability, low packet loss rate, 8m long-distance pickup*, and 1200W three cameras* etc., high-definition and smooth video effects can be achieved during remote video conferencing even in a low-bandwidth environment. The meeting will go smoothly and clear image details will be kept. This remote video conferencing solution integrates intelligent conference flat panel and remote collaboration software. It is easy to install and use, and facilitates remote, effective collaboration. On the one hand , it enables enterprises to reduce operational cost and save cost on business trips. On the other, it helps improve the efficiency of remote “war room” through real-time presentation, comment and explanation, and effective communication. 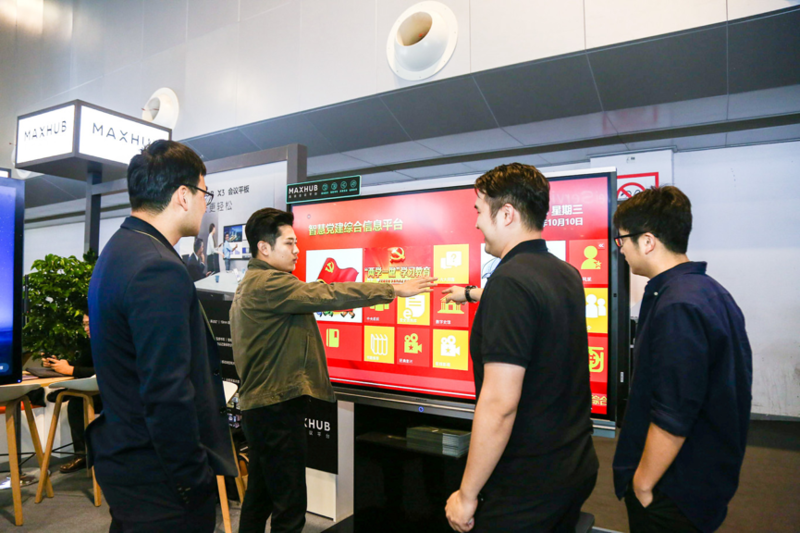 MAXHUB X3 Conference Flat Panel can also be used in the financial industry to step up the transformation and upgrade of branches of financial institutions. By adopting the smart hall marketing system, they are able to publicize and introduce new products on a high-definition display screen to clients waiting at the hall of the branch, and clients are able to use their mobile phones to scan the QR code and save the product information they need. Thus, financial institutions can make good use of the hall of the branches to draw more clients. For government and public utilities, MAXHUB offers party building solutions that cover public learning resources, the latest news, stories of outstanding CPC members, and CPC meeting minutes etc. It also incorporates intelligent writing, wireless display, contents sharing via QR code scanning and other functions to achieve quick contents sharing, and facilitate efficient implementation of party building initiatives. The future has come. In the meeting room mapped out by MAXHUB, mobile office platform will be further integrated with specific business operations. Office workers will be able to access mobile office platform to work at any time in any place and benefit from real “easy office” with problems in the management, execution and collaboration and other daily routines solved. Meanwhile, they can use the cloud service system to connect with seniors, colleagues, users and partners, to communicate and collaborate easily, work more efficiently, and further coordinate overall operations. MAXHUB applies artificial intelligence to facial recognition and sign-in in replacement of the traditional sign-in methods. This will not only facilitate effective meetings but also ensure information security during meetings. Generate meeting minutes anytime and distribute them to the receivers including computers, mobile phones and tablets through the cloud in real time, to ensure efficient information sharing and timely information distribution. 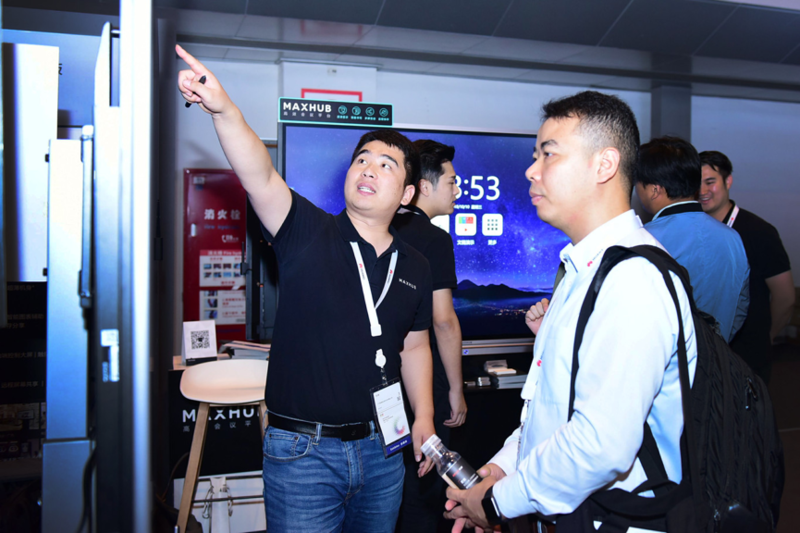 In the future, MAXHUB will also serve as an entry point for enterprises and manage and monitor devices for enterprises. Meanwhile, MAXHUB will play the role of a connection center that builds connection between enterprises and between people. This is consistent with the pursuit of Huawei – “Building a Fully Connected Intelligent World”. Seizing the opportunity of the digital upgrade and the advent of the intelligent era, CVTE will continue pursuing technology-driven growth, focusing on technological upgrades, and leveraging MAXHUB’s scenario-wide adaptability and efficient service to build a bond with enterprises in various sectors, make connection between enterprises and between people, enhance man-machine interaction and man-man interaction, serve as a hub for multi-party connectivity, and unveil the imaginative and infinite possibilities of future office work. Quoted from the official website of Huawei Connect 2018. Split screen display on any 4 devices after mobile phone, computer and tablet are connected with hot spots from MAXHUB Conference Flat Panel.